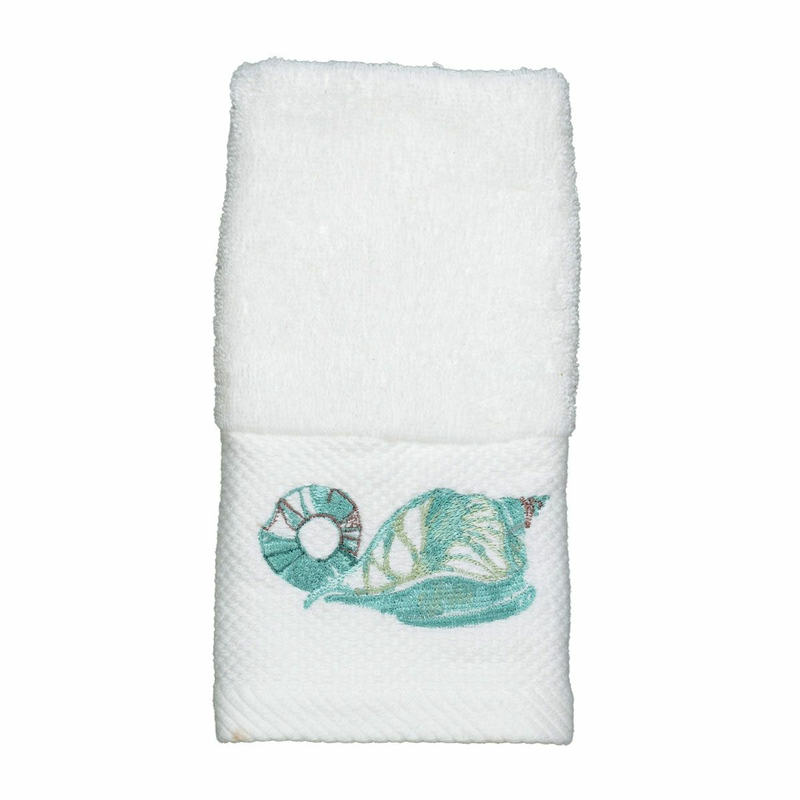 Create a coastal mood in your bathroom with the Aqua Shells & Seagrass Fingertip Towel. These beach-themed towels are enhanced with shells, sand dollars and seagrass in cool, relaxing shades of white, sea green and aqua. For more options, we invite you to spend some time to peruse our extensive assortment of beach-themed towels at Bella Coastal Decor now.